In 2013, we received a call from our college daughter informing us she had head lice. She loves to remind us that she is the reason that The Lice Boutique™ exists! After extensive research, the below is some basic information about head lice. 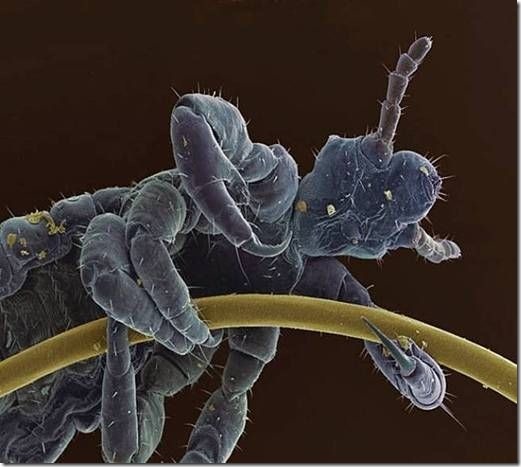 The head louse, pediculus humanus capitis, is simply a parasite that lives exclusively on the human head. Head lice lives in our hair and feeds on human scalp blood and lays tiny eggs, referred to as nits, that are cemented to the base of our hair shaft near the scalp. Head lice live only on humans, not even chimpanzees or family pets. Head lice do not have wings, cannot fly, and their short stumpy legs render them incapable of jumping, or even walking efficiently on flat surfaces. Head lice do not carry disease, although the scratching of the scalp that often accompanies a case of head lice can create open sores and an opportunity for secondary infections. Head lice are very common and normally come from another human head that has head lice. Sounds simple, but rarely do head lice infestations come from anything other than head-to-head contact with another person.. Head-to-head contact is common during play at school, home, the playground, camp, slumber parties and sports activities. A fertile female louse lays approximately 4 to 5 nits two times per day and she lives on the head for about 30 days. 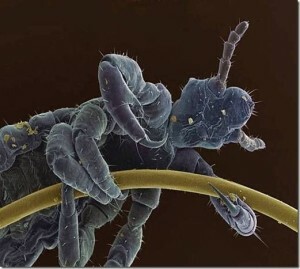 Nits take seven to ten days to hatch, and the newly hatched lice, called nymphs, take approximately a week to mature to adulthood. Within a day of reaching this stage, the female becomes impregnated for life and immediately begins dropping her eggs. Do the math and imagine how many nits are able to appear on a head every day after a couple of weeks! Head lice have been around for perhaps the beginning of human civilization. They are mentioned in the Bible as a plague, and dead lice and have been found on the heads of mummies for thousands of years!